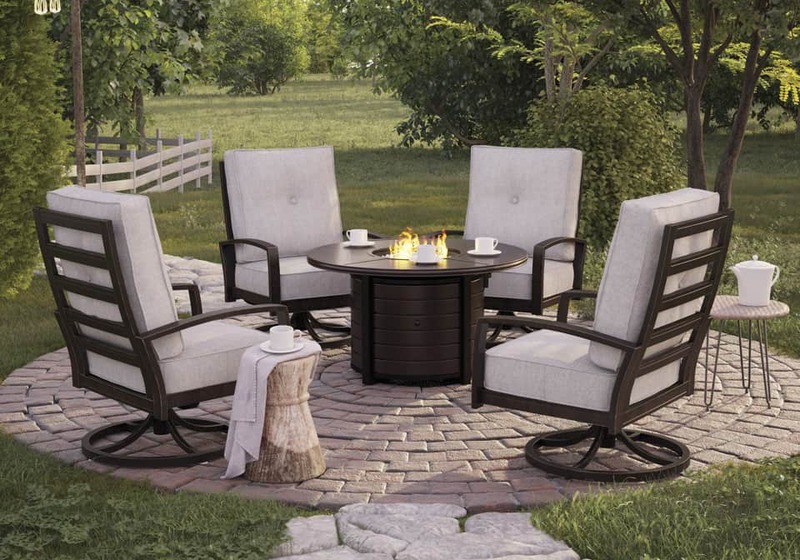 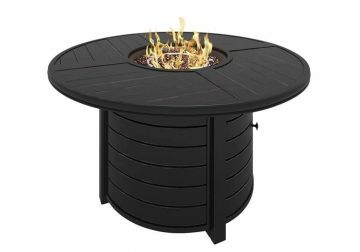 A royal addition to any outdoor living space, the Castle Island outdoor fire pit table is such a wonderful source of entertainment. Rest assured, the durable, rust-proof aluminum frame is made for season after season of enjoyment. 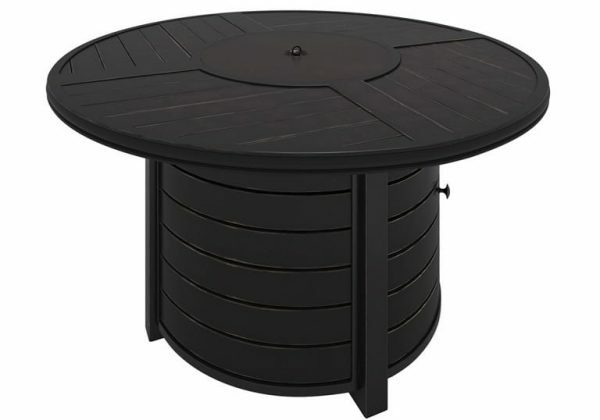 This round outdoor table is enhanced with a slat-style top and stainless steel burner with glass beads that add a dramatic element. 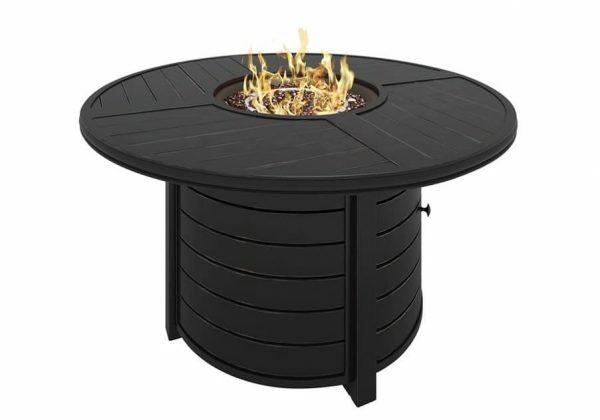 Push-button battery-operated ignition adjusts with the turn of knob. *Chair in photo not included.